- Your Magical Creatures are still hungry! Earn rewards for continuing to feed your creatures once they've reached max level. - New creatures spotted in the Magical Creatures Reserve! - It's Christmas at in the Wizarding World! Explore snowy Hogwarts for special Christmas events all month long! 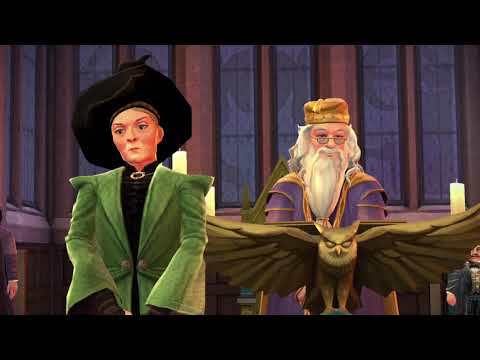 - Hallowe'en festivities are coming to Hogwarts! Be on the lookout for special Hallowe'en themed events and stories all month long! - New Pets Available Now! Hagrid needs help looking after some creatures, but don't let your Head of House find out! - Visit your updated Dormitory to adopt new Pets. - Korean now available as a language option in the Settings Menu. - NEW Pet Looks! Visit the Character Customizer to check out new Looks for your cat, owl, toad, and rat! Adopt more Pets to unlock special prizes in upcoming events. - Your fourth year at Hogwarts has ended. Look for new challenges in Year 5, including new classes and activities. - Pets Now Available! Visit your Dormitory to adopt a new Pet to take through Hogwarts with you. Sleeping Pets give you Energy! - Learn all about Nifflers, Bowtruckles, and Hippogriffs in Care of Magical Creatures in new Year 4 stories. Discover Centaurs and giant spiders in the Forbidden Forest as you uncover new mysteries at Hogwarts. - Earn attribute bonuses when you purchase new clothes! - Coming Soon: For a limited-time, challenge other players in the Duelling Club to win cool rewards!